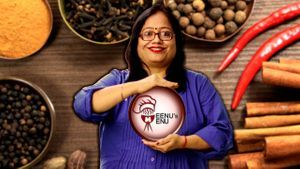 Meenu’s Menu is a Cooking website focused on Indian Kitchen. This website is named after Meenu Dua. Who will present her yummy recipes on this website. As this website revolves around Meenu Dua, here is something about her. In short she is a Simple Indian women age 50…belongs to a punjabi family, a working lady, passionate about cooking. Love to Cook and make other happy with her yummy dishes. She adds a pinch of love in all her dishes. Time to time we will add North Indian, South Indian, Chinese and italian cuisine by Meenu Dua direct from Her Kitchen.